One of the main objectives of the transnational project DiscOver 55 is to attract senior tourists 55+, during low and medium season in the four target areas through the creation of customized tourist packages thanks to the collaboration of senior organisations and SMEs in the tourist sector (such as incoming and outgoing agencies, services providers etc.). The project is financed by the EU – COSME Programme, for the competitiveness of small and medium enterprises – and it has a duration of 18 months (March 2016 – August 2017). The project will involve the areas of: Montepisano in Italy, Vulkanland in Austria, Izola in Slovenia and the Lake Saimaa in Finland. All these regions have in common two elements: water and green environment. What is special about the project is that the tourist services will be created with the collaboration of groups of seniors, experts in the tourist field and tour operators and under the supervision and with the contribution of a research institute active in destinations’ assessment. Tourist packages will be so the result of four main phases. 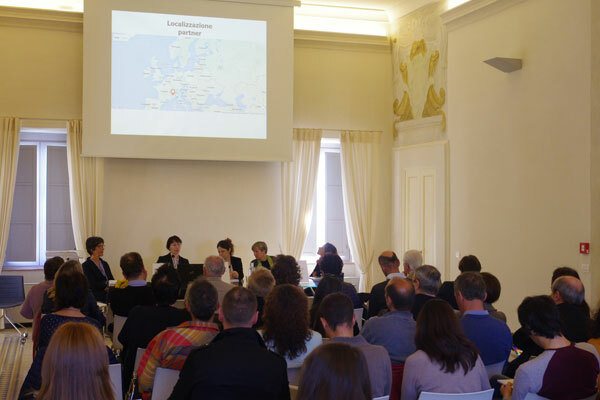 In the first phase, a group of experts assess the four European destinations using ETIS, The European Tourism Indicator System set by the European Commission; afterwards, during a second phase a tourist product is created using the recommendations stemming from the destinations’ assessment. During the third phase, a group of 56 senior tourists test the tourist packages in the four destinations to improve critical aspects and weak points before the finalisation of the tourist packages and their positioning on the market. In the last phase, at least 40 activities/services are included in the packages for senior tourists and these packages are made available for purchasing on the web site of the incoming/outgoing agencies involved. The theme chosen for the four areas is “Water for Wellbeing”. At the end of the project an operating handbook for senior tourist destinations is available in 5 languages (English, Italian, Finnish, German, Slovenian) and commercial agreements between tourist operators of the four areas are also signed to guarantee the financial sustainability of the project’s outcome after its end. The project is coordinated by Timesis Ltd – Montepisano DMC (IT) SME in the field of project management and monitoring and incoming agency, in partnership with Municipality of Capannori (IT) a local authority, SiTI (IT) Higher Institute on Territorial Systems for Innovation, Gefas Steiermark (AU), a non-profit organization for seniors the incoming agency Spirit of Regions (AU), the non- profit senior organization ZDUS (Zveza društev upokojencev Slovenije) (SI) and the agency for regional development Savonlinna Business Services srl (FI).